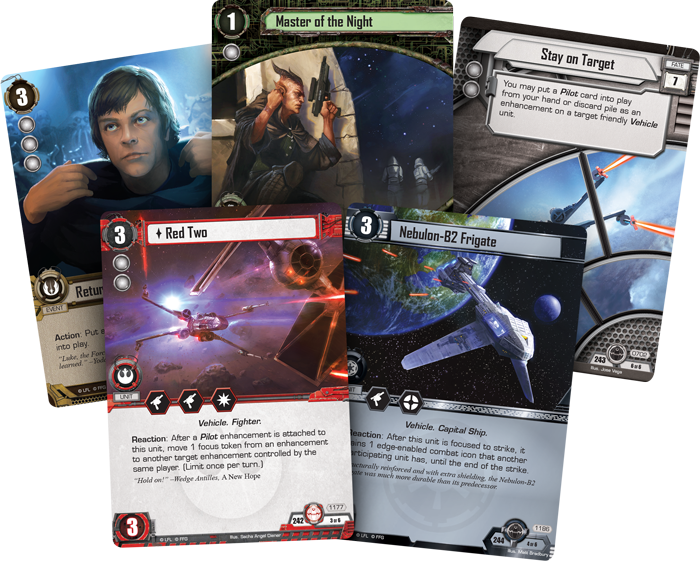 Fantasy Flight Games is proud to announce Meditation and Mastery, the third Force Pack in the Opposition cycle for Star Wars™: The Card Game! Meditation and Mastery offers ten new objective sets (two copies each of five distinct sets) to players, and by doing so, it grants new options to every affiliation. 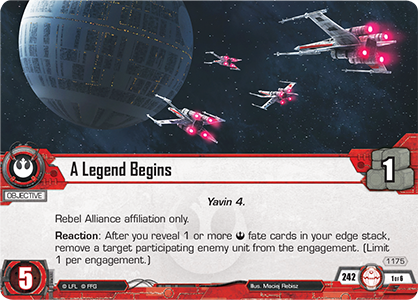 Here, you’ll find new affiliated fate cards for the Rebel Alliance and the Imperial Navy, alongside some of the other new fate cards introduced in this cycle. You’ll also gain the opportunity to fly and fight alongside recognizable characters from the Star Wars saga, including Wedge Antilles, Nien Nunb, and Admiral Screed. The Rebel Alliance has struggled for years against the forces of the Galactic Empire, winning small victories where they can and dodging away from disaster at a moment’s notice. Now, the Death Star is closing in on the Rebel base, and the Rebels are out of options: they must make a single, desperate attack and attempt to destroy this monstrous space station. 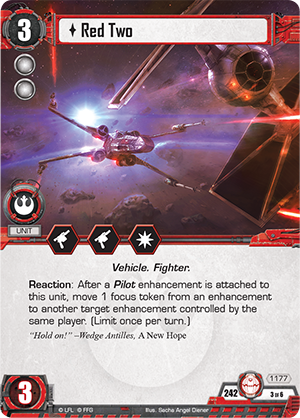 Meditation and Mastery gives you the chance to play out this climactic combat with a new objective set that hearkens back to the Pilot mechanics of the Rogue Squadron cycle. 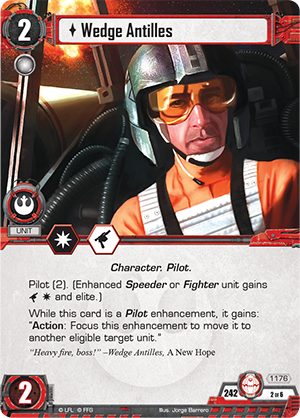 The first unit you’ll notice in this objective set is none other than Wedge Antilles (Meditation and Mastery, 1176), an ace pilot and one of the few to survive the assault on the first Death Star. 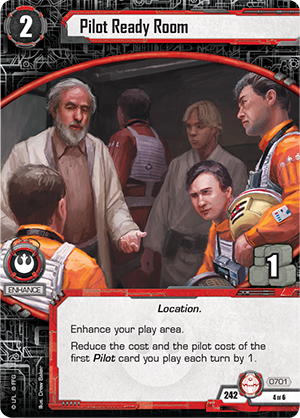 In Star Wars: The Card Game, Wedge Antilles has the pilot (2) keyword, meaning that you can pay two resources to put him into play as an enhancement on a Vehicle. Then, as long as he is attached to a Speeder or Fighter unit, the enhanced unit gains extra combat icons and becomes elite! Added combat icons and keywords can make any vehicle more dangerous, but Wedge refuses to be locked down to just one Vehicle. As an Action, you can focus Wedge Antilles in order to move him to enhance another eligible unit. 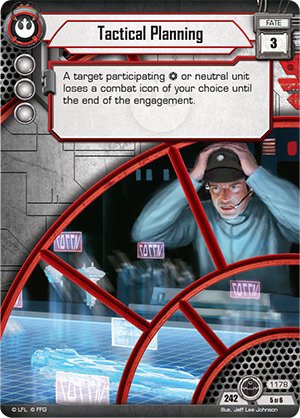 You can even trigger this ability in the midst of an engagement, granting Wedge’s combat icons to multiple units as they make their run against the Death Star. Wedge Antilles needs a Vehicle to fly, and this objective set provides one in Red Two (Meditation and Mastery, 1177). This X-wing boasts solid combat capabilities, and it works especially well with Wedge Antilles. Red Two reads, “Reaction: After a Pilot enhancement is attached to this unit, move 1 focus token from an enhancement to another target enhancement controlled by the same player. (Limit once per turn. )” Obviously, this allows you to move a focus token off of Wedge, potentially allowing you to use him twice in the same turn. However, you can also use Red Two to free up resources by moving a focus token off an enhancement like the Pilot Ready Room (Meditation and Mastery, 701) included in this objective set. 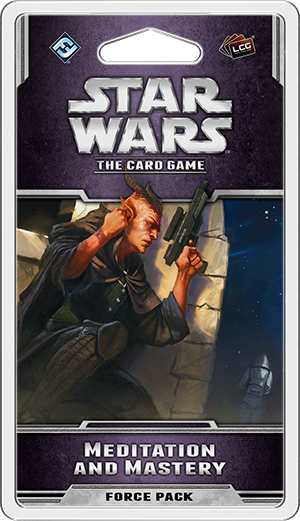 The Opposition cycle also introduces affiliated fate cards to the game for the first time, and within this set, you’ll find two copies of the Rebel fate card, Tactical Planning (Meditation and Mastery, 1178). Not only does this fate card contribute a significant number of Force icons to your edge battle, it allows you to force a participating Imperial Navy or neutral unit to lose a combat icon of your choice! Obviously, removing a key combat icon can completely swing the tide of an engagement. Perhaps you remove a blast damage that your opponent needed to blow up an objective or a tactics icon that would have allowed him to lock down your forces. Either way, Tactical Planning is another tool in the Rebel arsenal against the forces of the Empire. Finally, Tactical Planning works well with the objective of this set, A Legend Begins (Meditation and Mastery, 1175). After you reveal one or more Rebel fate cards in your edge stack, you can use A Legend Begins to choose and remove a participating enemy unit from the engagement, denying it the opportunity to block your units. Pushing out an enemy unit could grant you unopposed damage or prevent the enemy from destroying one of your key units, but no matter what happens, it gives you unmatched tactical flexibility. Rebel pilots, get to your ships! The assault on the Death Star is about to begin. Pilot your starships and take up your blasters to battle your arch-rivals in Meditation and Mastery, the third Force Pack of the Opposition cycle. You can look for this expansion at your local retailer in the third quarter of 2016.